Find out about our camp, mission, our methods, and the results of our decades of achievement. Ready to take the next step? You can become a part of the UBC tradition. University Basketball Camp is truly a Staten Island tradition. 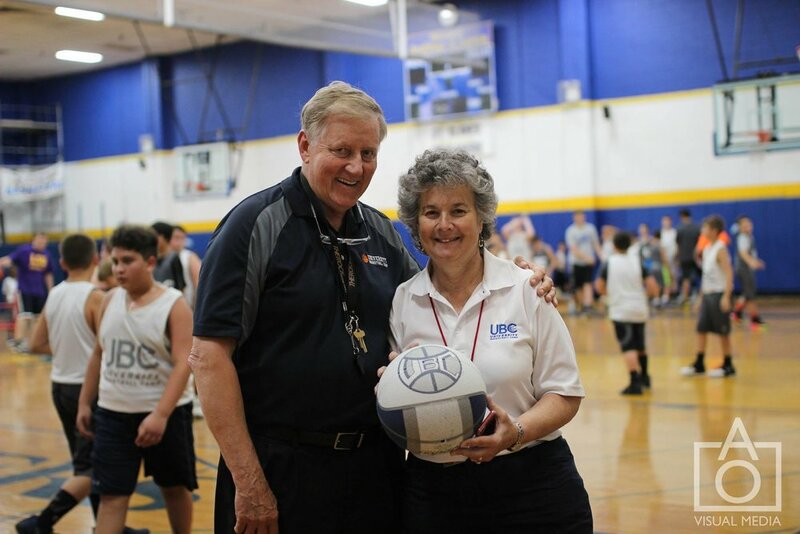 Gela and Greg Mikalauskas have been directing basketball camp on Staten Island for more than thirty-five years. The camp is designed to provide specialized instruction for boys and girls of all skill levels entering grades 2 through 9. Campers are divided into leagues based upon the grade they will be entering in the fall. All campers (entering 2nd. 3rd and 4th grade), (entering 5th and 6th grade), and (entering 7th, 8th and 9th grade) compete in separate divisions. Every child is given the same amount of game time regardless of his or her skill level.